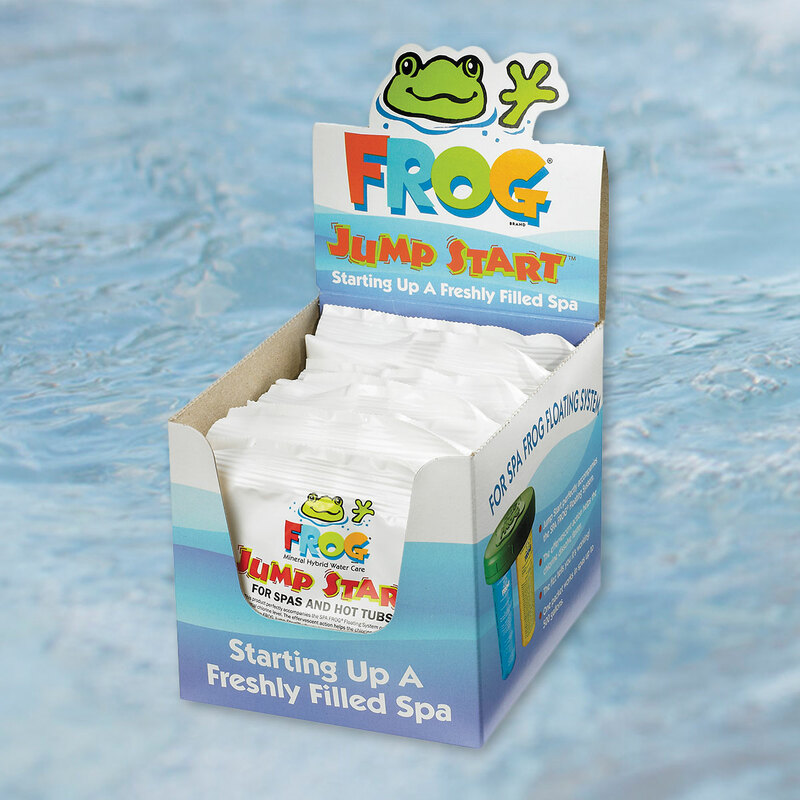 Frog Jump Start Shock is designed for use with Spa Frog Bromine and Mineral cartridges. One-dose packets provide a dichlor chlorine shock at startup. The effervescent action shows that it’s working. When used with the Spa Frog In-Line or Floating System it helps take the load off the first bromine cartridge, so it lasts longer. May be added directly to spa water.